Computer Simulation Technology (CST) announces the update of the 2017 version of the electromagnetic simulation tool, CST STUDIO SUITE. The latest edition includes a range of new tools for synthesis and analysis and improvements to existing features. It is now available to order globally. The electromagnetic simulation software CST STUDIO SUITE® is the culmination of many years of research and development into the most accurate and efficient computational solutions for electromagnetic designs in a wide range of frequencies - static to optical. The 2017 release builds further on CST’s synthesis and simulation capabilities, with new features for filter design, interference analysis and multiphysics simulation. Various improvements to Component Library. New Feature! Implemented support of cgroups under Linux OS. New Feature! Error output in log file improved when no connection between AutoUpdate and GUI can be established. If only 'Move mesh on parameter change if possible' is changed in the special mesh properties dialog, the results will no longer be deleted. Fixed instability when shutting down CST STUDIO SUITE when 3D results of a Block Simulation Task are displayed. Copy individual color of solid on transform with copy. Analytical Curve dialog box is now resizable. Added missing new line after 4 data pairs in TOUCHSTONE export for more than four ports. Update custom unit and label correctly when using Field calculator. Improved vector plot of unit cell port modes. The CHT solver can now be chosen in a Block Simulation task. Fixed solver choice synchronization after switching to certain solvers in a 3D simulation project. Corrected component type reading in odb++ import. Added button to remove already defined ports. Fixed incorrect material import under certain circumstances. Information about mesh moving status is now preserved. Creating of archives when using result cache with distributed computing has been fixed. Detection of installed service packs for the automatic update mechanism of DC has been fixed (installed service packs were not correctly recognized by the Main Controller). Fixed filename and path conversion for projects with non-ASCII characters. Robustness of file transfer has been improved. Robustness of recovery after network failure or Main Controller restart has been improved. Fixed wrong run ids in optimizer log files for evaluations with outer mesh adaptation. Surface impedance with roughness curve not updated after a frequency change. Corrected sign error in active impedance from combine results. Avoid false error message when linking derivatives to backward compatibility signals under Linux OS. Fixed multi-gpu performance issue on Linux OS. Fixed instability problem in case dispersive materials are touching open boundary. Added missing mode scaling factor in power calculation for simultaneous excitations. Fixed uneven S-Parameter sampling in final results when intermediate results have been generated. Repaired thread pinning error when parallelization is deactivated on single socket machines. In rare cases, the wave impedance of waveguide ports became the reference impedance for post-processing and schematic, instead of the line impedance. Improved error handling for sensitivity calculation in general purpose solver. Fixed farfield calculation for solids whose material properties are described by a surface impedance. Improved robustness for local multi-layer with eCFIE and low-frequency stabilization. Improved radiated power calculation and directivity calculation for very large antennas. Repaired farfield calculation for higher order NFS imprint for more than one NFS. Fixed issue with missing NFS data. Characteristic Mode Analysis: Support of remote calculation. New Feature! Improved error checking in solver initialization. Fixed incomplete ray visualization with Ray Tube solver. Improved stability if visual ray output is activated in combination with SBR solver. Improved stability if the feature "Perform full integration close to structure" is activated in combination with multiple near field sources. Added missing output of total solver memory. Fixed issue with rays transmitting through opaque materials for some geometries. Repaired inductance calculation of a single coil for the magnetoquasistatic transient solver. Display the abscissa of admittance matrix in project units. Improved convergence for problem scenarios with many ports. Power column is shown again for PIC solver in solver excitation dialog box. CHT solver supports altitude correction for fan curves. New Feature! Fixed structure capping in CHT mesh view with symmetry. KBL import process can be started multiple times with different inputs again. Fixed the XSL transformation that can create bad elements in KBL2.2 import. 2DTL: No longer create a cross section file for mesh view when running the fast solver. 2DTL: Fixed that overlap between PEC plane and cable was not detected. Fixed that PSpice export of a project with screened cables produces a circuit with inconsistent resistance elements. 2DTL: Fixed problem in arc-reconstruction that leaded to overlap error in a certain model. Fixed issue with warning message during startup for non-existing dbstorage.db path. Fixed management of message concerning non-ASCII characters. Fixed hanging after 2D(TL) Modeling and then deleting a cable bundle. The PI solver now receives uniform and non-zero R-Source values in power pin groups, updates the values in GUI. The Part library import no longer aborts with missing PCB data and leaves components in correct state. Unified mismatching part & partlib model tag names for IC & NPin so solverccd can read the data correctly. PI pins without ground references (incomplete setup) can now be added. User gets asked for ground reference. Fixed updating of the Enable IBIS flag. IRDrop: When working with multiple supplies the highest becomes circuit ground. IRDrop: Direction of currents at vias was displayed inverse. Rule Differential Net Matching - Fixed that differential mate segments not found even if there are segments in specified distance. Rule Differential Net Matching - Fixed that net mates not written into violation output table. Fixed net-highlighting in layout viewer. Added support for layermap files with spaces in path. Fixed very slow project opening if the recently used blocks contain a block with many pins. Solver fallback for S-Parameter-, Amplifier-, Mixer-, and Spectral Lines task, if operation point calculation fails. Creation of archives when using Save As function of CST MICROWAVE STUDIO block from inside schematic has been fixed. Fixed PSpice export of nested, parameterized subcircuits. Disallowed CST DS blocks to be imported from Component Library. Improved .TSV file import in phased antenna array. Fixed issue of displaying block parameter list after selection of a block and its corresponding label. Fixed scaling of 1D curves after drag-and-drop. Avoid loss of schematic run ids on delete user-defined results. Phased antenna array mirroring now available for all periodic rectangular arrays. New Feature! Improved performance, usability and reliability in Block Layout dialog box especially after bus operations. Changed definition of n-th harmonic in Interference Task. Support voltage import in Interference Task. New Feature! Preview version of new Eye Diagram Tool, accessible under Result Templates - Time Signals. New Feature! Field Calculator: Support for constant scalar fields. New Feature! Fourier Transform Result Template: Enabled time window for PSD. New Feature! Evaluate Fields in Arbitrary Coordinates: Improved data export performance. Macro Broadband Field Monitors: added option to enable/disable monitor (groups) via parameters. New Feature! Farfield Result Template: Added option to change phase center calculation settings. New Feature! Farfield Result Template: Added option to define MIMO channel data from text file. New Feature! Corrected calculation of farfield mean value in VBA method. About CST Computer Simulation Technology AG. 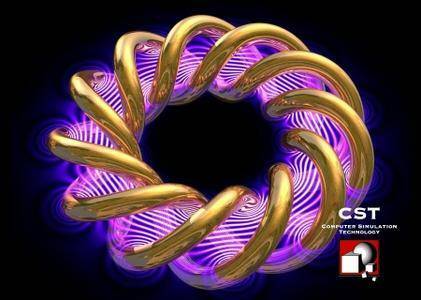 Founded in 1992, CST offers the market’s widest range of 3D electromagnetic field simulation tools through a global network of sales and support staff and representatives. CST develops CST STUDIO SUITE, a package of high-performance software for the simulation of electromagnetic fields in all frequency bands, and also sells and supports complementary third-party products. Its success is based on combination of leading edge technology, a user-friendly interface and knowledgeable support staff. CST’s customers are market leaders in industries as diverse as telecommunications, defense, automotive, electronics and healthcare. Today, the company enjoys a leading position in the high-frequency 3D EM simulation market and employs 280 sales, development, and support personnel around the world.